I would like to build a Marinemaster 300 -replica for myself. I do have a gen MM300 dial, signed crowns and some extra Seiko movements and I am sure one of them would work ok in this project. And I should be able to find gen hands too (might even have them in parts boxes already). I just need a suitable case. Any suggestions? Not aiming to 1:1 but hope to achieve the same feel as the original. 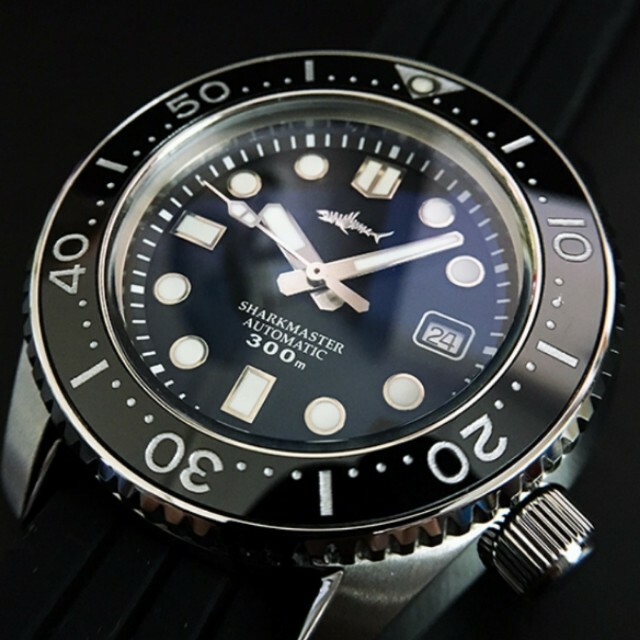 I am thinking about the Sharkey Sharkmaster or Merkur Oceanmaster (MM300 homages). Not sure about the dimensions but I suspect they might be close enough so the gen dial might fit. Anybody have one? Will not work with the sharkey. I had the same in mind but the movement is different. @Tomrep was trying to fit in the gen dial but was not possible. I guess can tell you what went wrong but to my understanding it’s not possible with the sharkey case. Damn, back to the drawingboard then. Hope I can find out what was the problem with the Sharkey case. About movements: It seems like the dial would work with the 7S26, so it should also work with the NH35A, which I think is in the Sharkey. Or at least its in Sharkey 6105 and Tuna, probably in the MM too. EDIT: according to some sources the Sharkmaster (MM homage) uses ST2130 -movement. That might explain fitment problems to Sharkey case. 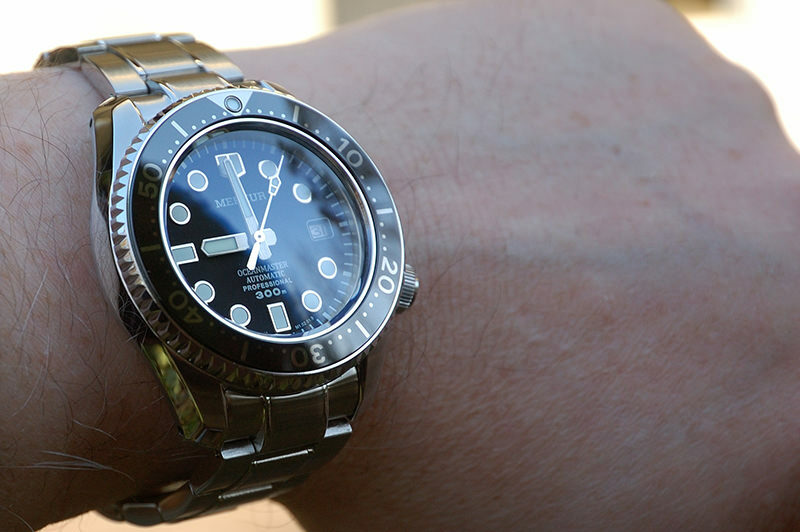 There is always a possibility to make a SKX-mod like in the link above but not ideal. The original MM300 is so nice and balanced set. Ps. I just measured some diver dials: 6309, 6105, 7002 and MM300 all ~28.5mm. Don't have a loose SKX dial but google says its the same too. Will check date window position later but should be same or very close. I you can fix it I would be happy to hear the solution. I will ask tomrep for the parts and can send the case to you so you can check if it works before buying a complete sharkmaster. I searched Tomreps threads on this site and didn't find MM300 thread, maybe on some other site? I think its enough if you just ask him what the problem was he encountered. No need to ship parts around. I suspect the Seagull movement date wheel doesn't match the MM300 date window. And for some reason Seiko movements do not fit into the case? If you can find an automatic movement that's similar in ligne and thickness as the sharkey it might be a drop-in fit. Cheap seiko,citizen watches, gen or replica?